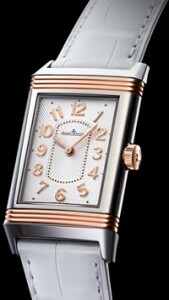 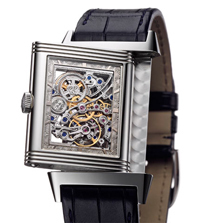 At the Geneva Salon Haute Horlogerie Manufacture SIHH2012 of Le Sentier Jaeger-LeCoultre introduced the new bi-clock Grande Reverso Lady Ultra Thin. 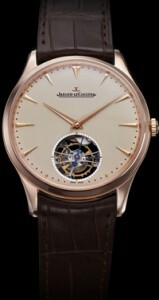 The company Jaeger-LeCoultre at the annual exhibition presented SIHH 2012 Watch Master Ultra Thin Tourbillon, equipped with the finest watch complications – a tourbillon that compensates for the effect of gravity on the mechanism and increasing the accuracy of his progress. 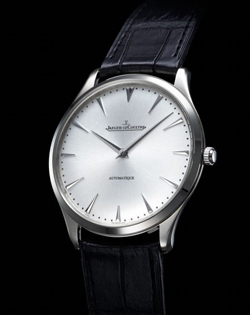 Release of news dedicated to the 20th anniversary of the lineup Master.